It is more than a strange way of interpreting history, when speaking of slaves and forced labour under the most horrible circumstances as immigration and the search for prosperity and happiness. A statement that seemed to have caused great outrage even among the department’s own staff. One could easily dismiss this as a singular incident of – sloppily – rewriting history. But indeed it has become some kind of trend in current politics: Referring to history in a way that can only be understood as a form of re-writing or re-interpreting history. While comments like Carson’s on the first glance seem simply nuts, they indeed are often part of a larger political strategy focusing on questions of identity, origin and creating a sense of belonging. Rewriting history can be part of a campaign for stability in uncertain times. Both statement widely ignore not only internal conflicts like the struggle in Northern Ireland or the controversial wars over the Falklands and in Iraq, but also the countries late colonial history. The Guardian made a list of events, the British can clearly not be proud of, listing the 1916 Easter risings in Ireland, the 1919 Jallianwala Bagh Massacre at Amritsar where the British Indian army had fired at crowds in an enclosed space for 10 minutes, killing a few hundred people, the British role in the Cashmere conflict or the massacre of the Mau Mau in Keya in the 1950s and 1960s – among others. But this willing ignorance of the negative aspects of the country’s recent history does not truly come as surprise since the rhetoric around the future perspective of post-Brexit Britain more often seems to invoke the former glory reinstated through trade. The plan to improve trade links with African Commonwealth nations after Brexit was dubbed “empire 2.0” by Westminster officials, thus creating an idealized view of colonialism: As a history of trade with the world and not as one of oppression and exploitation. So will Brexit be built on the myth of a – no longer existing – empire? And at what costs? But why actually trying to rewrite historic events, that already have been widely discussed not only by professional historians but the public? Why taking the risk of making a fool of oneself when distorting historical “facts”? Because if it works, it is quite a powerful tool and helps to not only shape discussions but change the overall political climate. History in its various forms has always played an important role to legitimize power or create an understanding of what makes a certain group part of a political entity. It is a phenomenon that can often be found in instable or young political systems still searching for a unique identity that binds different social groups together. One just has to look into the history of the 19th century to find a clear picture of how the young nation states like Germany used national myths based on historical figures or events to create a unique and – more or less – stable identity. The nation state as such was and is a relatively young phenomenon and in times of political struggles, industrialisation and social and political unrest, as it could be found in 19th century Europe, looking back into history for something that binds groups and different interests together was quite successful. In Germany the national movement for example began to refer to Frederick I. Barbarossa as a kind of founding father of the German nation – for centuries there already existed a legend telling the story of a sleeping ruler beneath the Kyffhäuser mountain that in time would awake and reinstate Germany’s former glory. The idea of a ruler to unify the fractured German states held a great appeal: The united “Deutsche Reich”, founded after German-French War 1870/1871 was an empire without history. Even in the Middle Ages the Holy Roman Empire was fractured and each territory had its own ruler – duke or knight, bishop or town council. Above them all sat enthroned the elected king or Kaiser. So the idea that a “Kaiser” had always been the force that held Germany together, indeed already was a form of rewriting historical facts. But how to explain the consolidation of the “Reich” in the 19th century and how to keep together what was never an entity? Through storytelling, myth and legends. The young state was under enormous pressure, especially since the Republican ideals of the 1848 revolution had failed to grab hold and Prussia had finally pushed through the so called “kleindeutsche” solution – a “Reich” which excluded the Austrian empire – and established the “Reich” as a counter-catholic protestant entity. 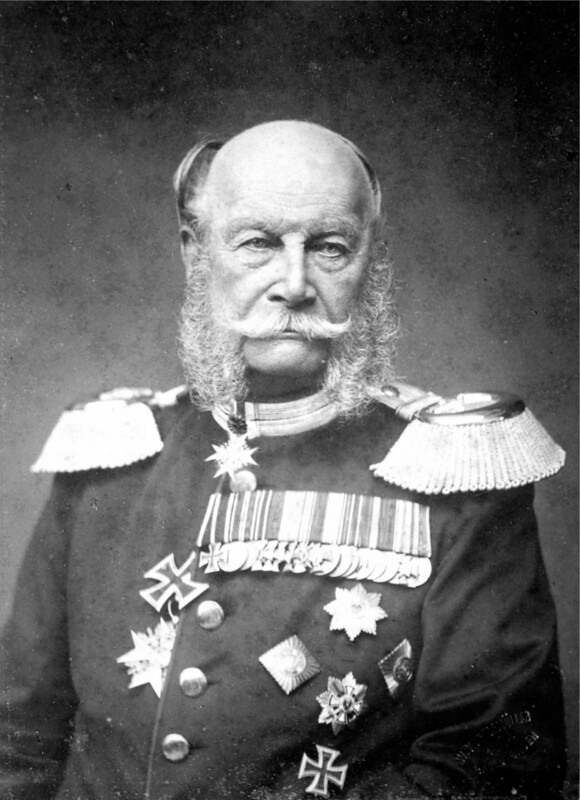 In this insecure situation circles around the Prussian emperor began rewriting the Kyffhäuser legend: Artists and writers declared Wilhelm I to be the re-born Frederick Barbarossa and even gave him the name Barbablanca – Whitebeard – in reference to Barbarossa, which is Italian for red beard. The legend of a re-born Reich was fulfilled. Only one example of myth grabbing hold of politics. Similar ideas could be found in France, where Jeanne d’Arc became as much of a political myth as Charlemagne, or England, searching its origins in Arthurian legends. One can even go so far that the 19th and early 20th century was the time of mystification of history, mystification of politics. More details about 19th century national myth can be found in our article “Myth and Modernity Part 1: Political Myth and Nationalism”. Here – like in other times before and after – rewriting history as political strategy has been part of an identity forming process in insecure political and social entities searching for legitimization, roots and origins. A special case of how history was rewritten for a political goal, is the Katyn massacre – not because it is far more cruel than other massacres, but because it took over half a century until the truth of what had actually happened became widely known. 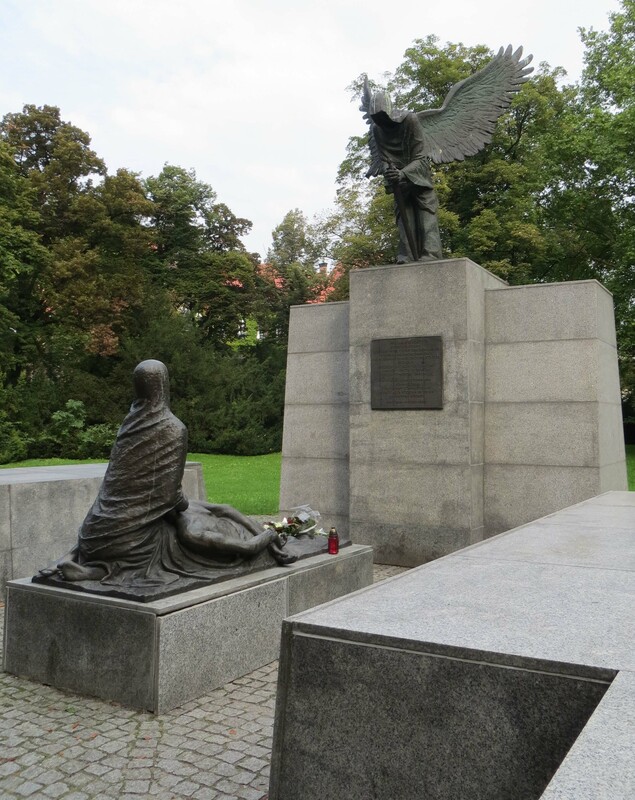 For over 50 years – from World War II to the fall of the Soviet Union – the fate of slaughtered Polish citizens was rewritten over and over again to create a certain political narrative. First as part of Nazi propaganda, then as tool in forming the Eastern block under Soviet dominance. In this case it was not really a rewriting of history, but more an example of blowing historic events out of proportions on the one hand, and trying to cover it up completely on the other. But let us step back into the year 1943: After Germany had declared war on Russia and had occupied former Russian occupied Polish territories around Smolensk, some local sources informed the German authorities – among them propaganda minister Joseph Goebbels – about mass graves in a forest near Katyn found in late 1942, early 1943. For sure in the beginning no one expected actually finding thousands of bodies. Because of the clothes and some personal belongings the Germans concluded that the dead bodies were those of Polish officers and that they could not have been dead for more than two or three years. For Goebbels there could have been no better chance in his propaganda war than the final, irrefutable proof of Bolshevism’s cruelty. It was a chance to drive a wedge between Poland, the Soviet Union and their western allies. The German propaganda machine was quick to blame the Russians for the massacre, which Stalin denied and in the same breath accused Nazi-Germany of being responsible for the slaughter. It was just one more of Goebbels’ lies, he said. During the following years more mass graves were found in the borderlands, but no other discovery gained as much attention as Katyn – the name became a symbol. As for the facts: Indeed the Polish government had searched since 1940 for more than 20,000 missing Polish officers, intellectuals and policemen. When the Germans released most of its prisoners taken during the first months of occupation and they still could not be found, the Polish government asked the Soviet Union, if they were still holding them captive in the territory they had occupied after splitting the country in two in a joint contract with Nazi Germany. They denied and insisted to have handed over their captives to the Germans. So whom to trust? Quite early – in late 1942 – the exiled Polish government in London had learned about the massacre and did indeed blame the Soviets. An uncomfortable truth: The Soviet Union was then still needed as potential ally. After the discovery became public knowledge in 1943 the British Prime Minister Winston Churchill and US President Franklin D. Roosevelt had to take a position. They were torn between their relation to the Polish exile government and the young and unstable alliance with Stalin. At last they decided that Hitler was the enemy to fight and for this they needed Stalin. And after all, would they not support Goebbels indirectly if they officially took position against the Soviet Union? The problem is an understandable one: A big dilemma in middle of a war of that no one at that point was able to estimate the true extent. But then the war ended and there was an actual chance to find out what had happened to the missing Polish men and also who were the offenders of Katyn. But after six years of war and already dealing with the Holocaust the Western Allies were not really interested in researching the truth about Katyn and thus creating only further complications and conflict with the Soviet Union. With no witnesses left to tell the tale, the Soviets clung to their story. They forbid speaking in public about the suspicion that the victims were killed by the Soviets. As date of death families had to write “autumn 1941” on victims’ gravestones, a date the Soviets marked as that of the massacre. In schoolbooks, press coverage and on memorials they blamed Nazi Germany as the offender. Until 1988 public remembrance of Katyn even became illegal in Poland. There had been some publications in the 1940s and 1950s about the massacre that gave further proof of the Soviet Union’s involvement. But this research became something of a “hidden fact”, because actually no official orders existed and therefore no official proof. Furthermore no one wanted Goebbels to be right for once. It took until April 1990 for the Soviet government to finally declare Katyn a “crime of Stalinism”. During the following years several investigations started, but until today many Russian documents are classified, while an unknown part has been destroyed. Still, in 2007 and 2008 Russian newspapers published articles about Katyn, continuing to declare it a Nazi crime. It shows how successful the Soviet Union’s propaganda had been and how it continues to have an effect until today. 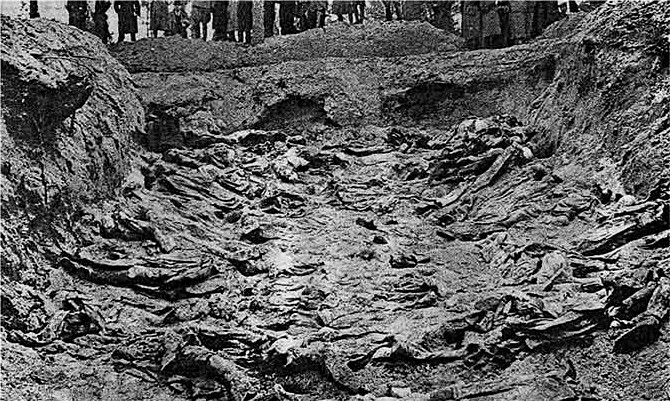 In Poland the Katyn massacre now has become a symbol for all the crimes, the Russians committed against Poles throughout history. 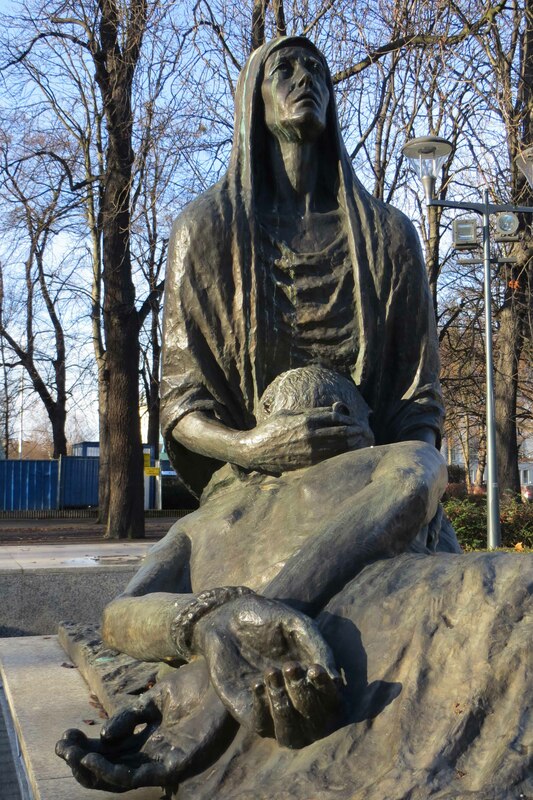 It symbolizes the big trauma that takes a big place in the Polish identity. 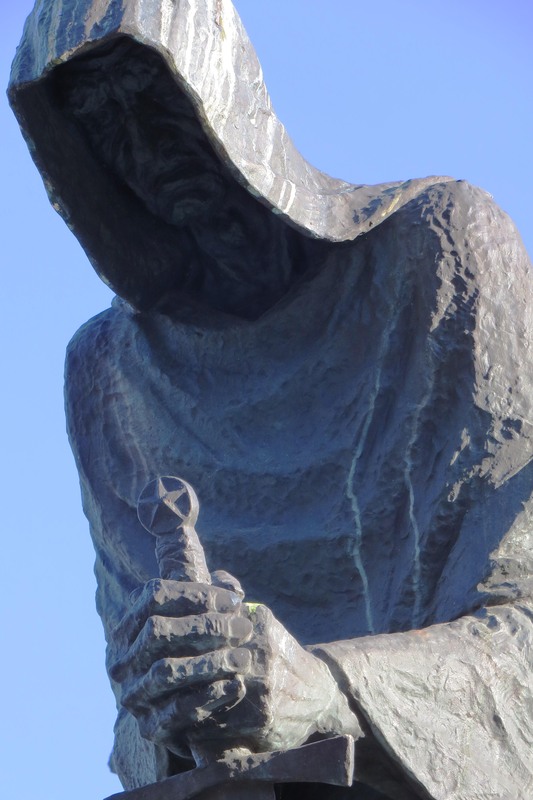 All over the country one can find memorials and public commemorative ceremonies. But why did the Russians deny the truth that long? For sure you can say, it is far easier to blame the Nazis for one more cruelty as well. In the beginning it was definitely a propaganda destined to save the alliance with Great Britain and the United States. But afterwards it became a little bit more complicated. After the Second World War the Soviets more or less occupied Poland and the country became part of the Eastern block. Even though there might have been some Poles looking for Soviet protection, in total Poles and Russians had lived longer as enemies next to one another than as friends. It was necessary to build a kind of stable structure, which made it impossible to confess that Soviet soldiers had killed captured Polish soldiers – clearly a war crime according to international laws. They needed a legitimation for their own regime and for this they had to be better than the Nazis. They needed the moral high-ground. Otherwise they would weaken their own political position and would have given the West the opportunity to point – once again – at the barbarous East. This should not apologize the crime, but it shows the function behind the distortion. Rewriting history can help to legitimize instable political relationships. But it can also have the contrary effect – to de-legitimize and destabilize week societies. This is why it is a strategy so widely used throughout the 19th and 20th century. Revolutions for example often rely on creating political myths. As do political parties marginalized in conflicts. When Germany lost the First World War it also led to the destruction of the existing political system: The Kaiser abdicated and a republic was established. But this did not mean that the former leading political figures, economic leaders and former militaries lost their influence completely. That might have seemed the case during the revolutionary first months and up the early 1920s, but indeed the former elites still succeeded in shaping the debate. In this case through rewriting the most recent history: The cause of losing the war that had just ended. 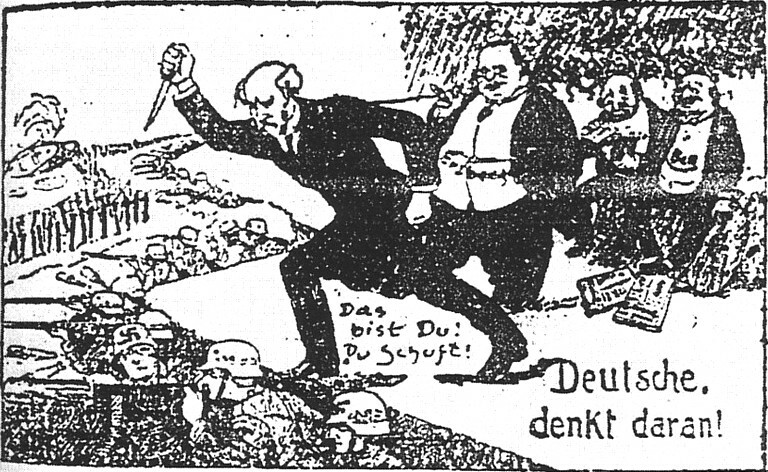 When during the last months of the war it became clear that Germany was on the losing side, had used up all it resources and full surrender was only a question of time, the leading German generals instead of declaring their failure publicly, decided to leave this to a new, democratic government. This is in hindsight even more important, because the generals Ludendorff and Hindenburg as many other leading figures in the Obersten Heeresleitung (OHL) became essential figures in the rise of not only far-right Conservatism but Fascism in Germany. So the leading figures of the German military destabilised the new Weimar Republic before it even began. More so the OHL was responsible for creating a myth that spread widely through all social circles: Germany had not lost the war because its soldiers had failed, no, indeed, they said, the soldiers in the trenches had never been defeated by enemy fire. Instead they had been stabbed in the back by politicians – especially the Social Democrats – and other civil groups at home. Pacifists and Jews were among those targeted as responsible for losing the war. The legend addressed the emotions of many soldiers. Indeed the peace negotiations had concluded while they were still buried head deep in mud, rotting in the trenches. Those that survived the war often could not understand how all their suffering had led to nothing – apart from defeat and heavy reparations. More so, when coming home they often found a lack of understanding for what they had been through, a life without perspective or jobs. So the idea that they actually did not lose the war, actually did not fight for nothing might have held a lot of appeal, even if it was a distortion of actual events. The influence the so-called “Dolchstoßlegende” had on the instable political climate of the Weimar Republic has been widely discussed and going into detail at this point would actually lead to far. 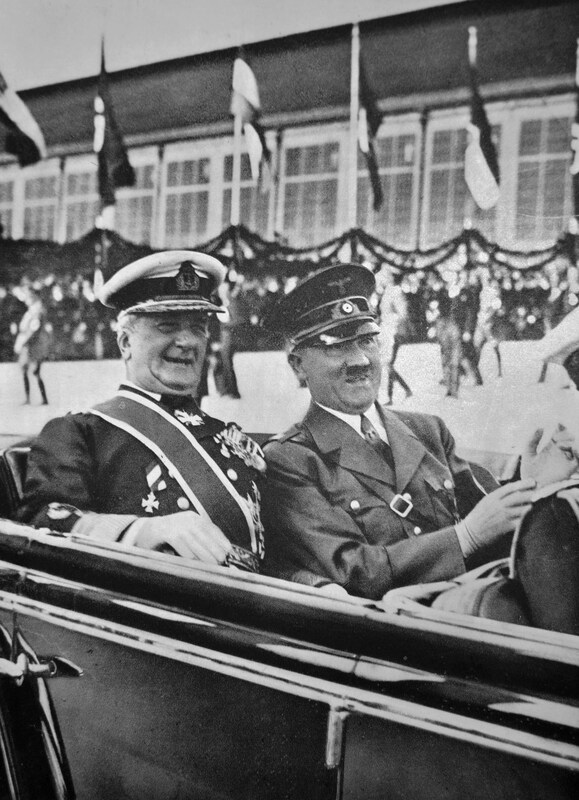 But one thing has to be kept in mind: The legend and the rewriting of recent history were so successful it helped to shape the political climate and in a way aided lying the foundation for the Nazi’s grab of power after Hitler became Reichskanzler in 1933. So rewriting history is – as Katyn and the German “Dolchstoßlegende” have shown – a phenomenon often to be found at the politically more extreme spectrum. To the left and especially to the right, who often gladly play with history to achieve a political goal. This becomes especially problematic when politicians today start to rewrite the history of Nazi Germany or the Holocaust. To discuss the negative impact rewriting of history has today, looking at recent events and political developments at this point seems necessary again. This becomes especially problematic when the tendency to reinterpret uncomfortable facts involves the rewriting of the Holocaust history. Something that can often be found on the politically right spectrum – but not only there as UK Labour’s Ken Livingston has shown. Let us take a look at France, more precise at the role Marine Le Pen recently played in an attempt to erase historic responsibility: During the race for the French presidency she attacked the narrative surrounding the roundup of French Jews during German occupation 1942. 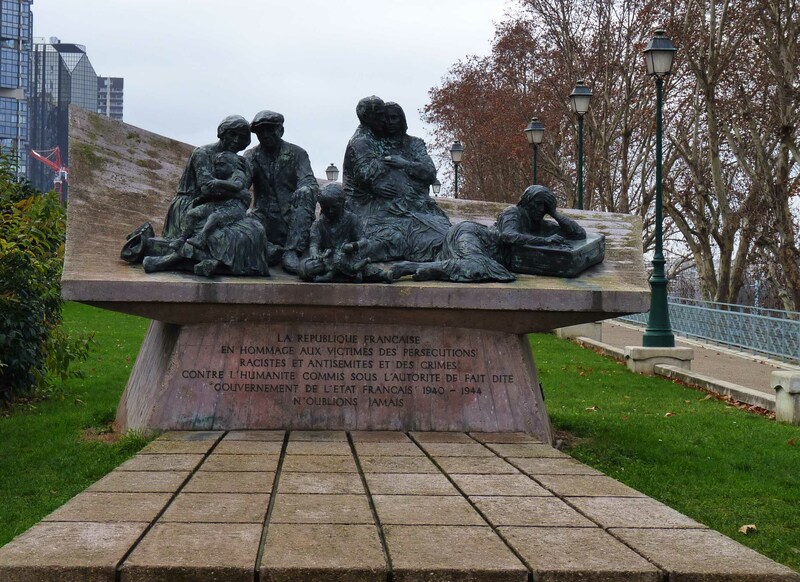 On July 16, 1942 French police arrested about 13,000 Jews residing in the now occupied French capital and interned them at the famous Vel’ d’Hiv stadium that in 1924 had housed the summer Olympics. Shortly after that the interned were deported to Auschwitz where the vast majority was killed. What made this so unique in French history is the fact that French police forces actively participated in rounding up the Jews for later deportation. This is why the act has become an essential part of the French national memory, a dark stain right-wing politicians like Marine Le Pen would like to erase and forget, because until today it exposes the deadly consequences of French collaboration with the Germany occupiers. To accept responsibility – as will be shown in another prominent example – still seems to be a mental problem in certain political circles. The reason for that might be that accepting responsibility for historic crimes is contrary to the narrative of a proud and morally pure country when it comes to the atrocities committed during World War II. And of course it is an uncomfortable truth in a political climate that suspects citizens of potential crimes due to their origin and religion: in this case not French Jews but French Muslims, who are the Front National’s main target group. Being proud of one’s nation also plays a role in the second example where parties in European countries try to rewrite Holocaust history out of patriotic feelings: Since Victor Orbán has become Hungarian Prime Minister the country’s political system has vastly changed and Orbán has established a model of rightwing populism and radicalism. Other states like Poland currently seem to follow. One important part of his strategy is to strengthen the national identity in manipulating the history. For this in 2012 he initiated an exhibition with the title “Heroes, Kings and Saints”. Different painters were commissioned to interpret the most important dates of the last 150 years – of course in line with Orbán’s politics. One important part of the exhibition was the interpretation of Miklós Horthy as a national hero. But who was Miklós Horthy? He was a Hungarian admiral and statesman, who formed an alliance with Adolf Hitler against the Soviets. Through this alliance it was possible for Horthy to occupy and annex former Hungarian territories, which had been lost after the First World War. This could be interpreted as a man working for Hungarian interests: protecting the country against Russia and territorial expansion. But there is a sinister aspect to the story: Horthy’s treatment of Hungary’s Jews. Today the official, story line sponsored by Orbán and even his own opposition is that Horthy protected Hungarian Jews from the Holocaust because until the German occupation in 1944 Horthy had refused to hand over the Hungarian Jews to the Nazis. But there is indeed another side of the coin again: As early as the 1920s the Hungarian state had oppressed its Jewish citizens. In 1920 Horthy for example enacted a law that made it hard for Jews to study at universities and nearly impossible to work in the civil service. In 1938 this was followed by new legislation comparable to the Nürnberger Rassengesetze. For example their employment in government positions was forbidden and most of them lost their right to vote. In total it is obvious that Jews were not seen as equals to other Hungarians. But to make it even more complicated: Horthy made a difference between Hungarian Jews and foreign Jews and had no problem with handing over the Jews from newly occupied territories. Furthermore in 1941 he ordered the deportation of Jews without Hungarian citizenship, who had fled to Hungary to avoid Nazi Germany’s persecution. The only truth to Hungary’s whitewashing of Horthy’s involvement with the Nazis: Yes indeed, until 1944 he refused to hand over the Hungarian Jews. The question remains why he treated Hungarian Jews differently than those from other countries. Maybe because of a strong nationalism where being Hungarian outweighed being Jewish. Or maybe he had to hand over at least some Jews for staying in alliance with Hitler. But at least one cannot say that he protected the Jews because of humanitarian or noble motives. Horthy definitely did not want Hungary to become a satellite state of communist Russia again. And that in total just a quarter of the former Hungarian Jews survived the Holocaust, seemed to be a price, he was willing to pay. Some historians even suggest, the survivors only survived because Horthy at some point had realized that Hitler would lose the war and the Western Allies had put a lot of pressure on him. But in the current narrative only the story about Horthy protecting the Jews exists. But what about the Jews who had died because Horthy did align with Hitler and had approved the deportations? To answer the question how far the distortion of history effects current debates about the Holocaust and the role Hungary has played in it, it is necessary to look at a few examples: In 2014 a monument was erected in Budapest that is dedicated to all the victims of Hungary’s German occupation. The statue shows an angel being attacked by a German eagle. Critics see it as a distortion of Hungary’s role in the Holocaust: The memorial depicts Hungary as a victim of Nazi Germany and simply ignored the before-mentioned German-Hungarian alliance and its victims. As problematic as this was the replacement of the Holocaust Memorial Center’s director. Just because the government had wanted to arrange the exhibition in a new way: Cutting out the participation of the Hungarian government in the Holocaust. But why should a government want to rewrite history in such a way? Why cutting out the own participation in the Holocaust that so far has been a commonly known fact? Again you can say that it has something to do with forming and strengthening national identity. It is not an easy legacy: Being aware that one’s own country – maybe one’s own relatives – participated in systematic mass murder. Something Germany has also been struggling with until today. But while Germany was the power behind the Holocaust Hungary could have been the country that faced Hitler boldly and protected the Jews. This would have been something a state could have been proud of, it would have allowed to form a national identity based on moral superiority. Instead the country has to face its crimes – something that has become quite problematic for a far-right government that embodies many of the values that characterized Horthy’s policies – including prejudices against and oppression of minorities. Here a short look at Hungary’s treatment of refugees – by some compared to putting people in to concentration camps – makes it obvious why the country’s history has become an moral obstacle for current policies and why the Orbán government has great interest in rewriting the country’s recent history. So looking at the concept of rewriting history as political strategy two core aspects stick out: First of all the intention to legitimize or de-legitimize a political system, party or idea. And secondly the close connection with identity building processes. Re-writing history therefore has a certain function in societies struggling with their own identity and origin. It can in a way be compared to the functions of commemorative culture, but in a more sinister way. As has been shown: Re-writing history is often linked closely to a certain political goal and is therefore dangerously open to distortion and manipulation – often with dire consequences for societies. Tags: 19th century, Ben Carson, Brexit, Germany, History, Holocaust, Hungary, Identity, Katyn, Memory, Myth, Orban, populism, propaganda, remembrance, UK. Bookmark the permalink.